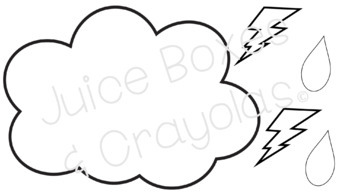 Use this stormy weather cloud template to teach students about lightning, thunder and rain. Have students color the cloud grey, lighting bolts yellow and rain drops blue. Then glue lighting bolts and rain drops to the cloud to create a stormy weather scene.